Donald Ray Burton, Sr. 82, of Hixson, TN., long time basketball coach and teacher, passed away at home on July 21, 2018. Don was born in Carter County, KY on April 7, 1936. He graduated from Glenwood High School in New Boston, Ohio in 1954 where he held the city-wide basketball scoring record for 32 years. He received a BS Degree from Lincoln Memorial University (LMU) in 1958 where he played basketball for 4 years and left as the career leader in points scored. LMU is where he met and married Nancy McEwen Burton on July 18, 1958. He received a Master’s Degree from Tennessee Tech University in 1984. Don had a long, illustrious career as an educator and coach of young men and women, with stints at Whitesburg, KY, Birchwood, TN, Sale Creek, TN and Soddy Daisy, TN. 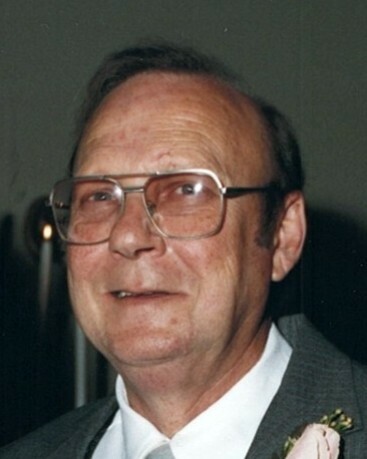 With a career spanning 34 years, Don coached a variety of sports, including football, girls’ softball, cross country, tennis, and baseball, but it was as a basketball coach where he had his most success and influence, both on and off the court. His basketball teams won 585 games against 320 losses, with most of the wins coming at his beloved Sale Creek High School, where he won numerous district, region and sectional titles. While at Sale Creek, Don was named Coach of the Year 5 times by the Chattanooga Free Press and two times by the Chattanooga Times. Don was inducted into the LMU Hall of Fame in 1985 and the Greater Chattanooga Sports Hall of Fame in 2004. Don leaves behind a loving and devoted wife of 60 years, Nancy McEwen Burton; three children, Donald Burton, Jr. (Christy), Gary Burton, and Charlie Burton (Debbie); five dear grandchildren, Adam Burton, Sarah Burton, Logan Burton, Lance Burton and Abbey Burton; and three beautiful great grandchildren, Isabella Burton, Bennett Reed Celeste, and Lyla Burton; one brother, Vaughn Burton (Rosemary); several nieces, nephews, cousins and many close friends. His parents, Bill and Opal Burton, his brother Robert Burton and his only daughter, Sherry Lynn Burton preceded Don in death. The family will receive friends on July 25 from 4 to 8 p.m. at Williamson and Sons Funeral Home. The funeral service will be held at 12:00 P.M. Noon Thursday at the funeral home with Pastor Kevin Shelton officiating.